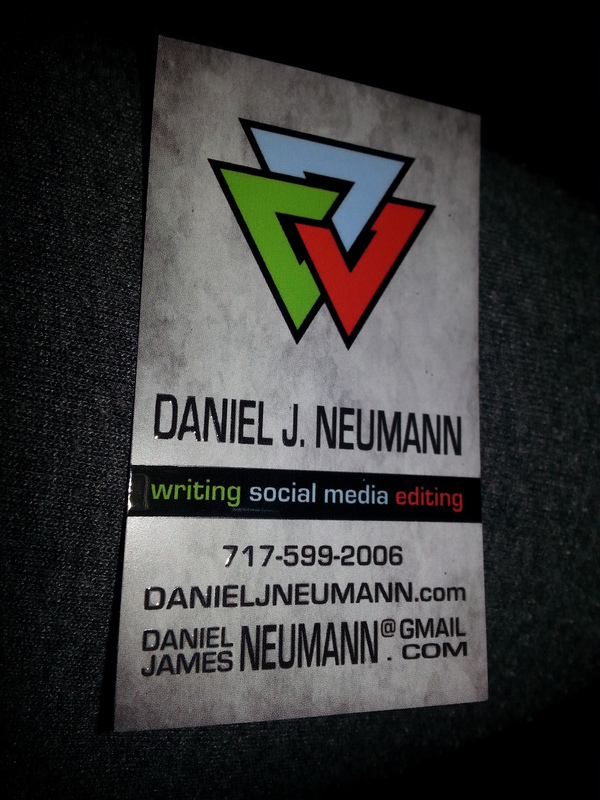 If you couldn’t tell by my site’s domain, my name is Daniel J. Neumann. 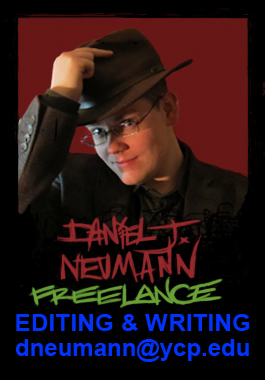 I’m a freelancer who helps individuals and businesses alike with their writing, editing, and social media campaigns. 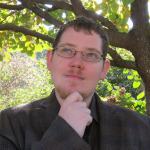 I began crafting fictional worlds in my head at 15. I haven’t looked back since. I created this site partially to showcase my skills for potential clients, but mostly to engage with other people. Please feel free to comment. I’ll try to get back to you as soon as possible to show my gratitude. Even if we don’t see eye to eye, I promise that I’ll (try my hardest to) treat you with respect. If you’re here to ask for my services, send me details about the project so that I can provide you with an appropriate quote (for example, the word count of the document) in an email message. Are you here to read some free content? Then—by all means—leave this page and read some of my posts! You can share it with your friends if they’d be into it. I enjoyed writing every post, and I’m delighted when others enjoyed them as well. Stumbled across your site when Googling quantum telecommunications, just for fun. Much of what ive read so far regards entanglement “signals” as too random to codify, rendering any “q-com” as a fantasy technology, like reverse time travel. You seem to think it will happen. What is the empirical basis of your belief? I agree it would change humanity, probably starting with Wall Street. Imagine instant stock trade algorithms. BTW you are a terrific writer. I look forward to following your posts. Thank you for your reading my blog and responding. You’re the first person to. In regards to your question, my best answer defers to the brilliance of Kurzweil. He predicts that in the next few decades, our technology will expand to an unfathomable point (the “Singularity”). If we cannot use QE-comm yet, we might be able to in the future. Of course, I’m not really answering your question. You’re asking is it physically possible to use QE phenomenon for communication. Alas, I’m not a quantum physicist. I read an article suggesting that you’re right to be skeptical of any instantaneous telecommunication system. Then again, I read another article that claimed a communication system assisted by non-locality increased fidelity to the maximum. It seems to me that QE allows some kind of information to be passed from one particle to another (through what processes, who knows? Maybe nano-worm-holes). If the interaction is restricted to one of two states, that’s perfect for binary. If it’s more complicated than that (like most of Quantum Mechanics is), then we’ll have to create new ways of utilizing this phenomenon. I wish I could give you a better answer than this, but I honestly don’t know enough. My gut tells me that QE communication will be used in the future, if we ever roam the stars.